High tech mapping is the newest way for doctors and clinicians to diagnose a patient’s skin. 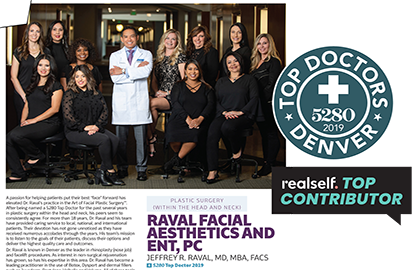 While this new technology hasn’t necessarily changed what the doctor does when examining a patient’s skin, it has enhanced the doctor’s ability to most accurately explain recommended treatment to the patient, says Jeffrey R. Raval, MD of Raval Facial Aesthetics and Rocky Mountain Laser Aesthetics. The medical aestheticians use Visia® Complexion Analysis to assess patient’s skin prior to launching a treatment regime. The mirror-imaging gadget makes a record of the skin and its varied conditions—from sun damage to wrinkles and spider veins to p. acnes and number of pores—and produces a printed report on the individual’s skin. Visia also calculates a comparison of one’s skin condition to a database of 5,000 patients. 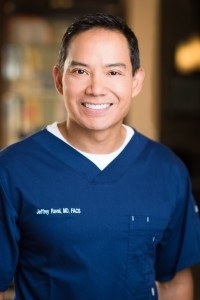 “This tool isn’t necessarily used by the doctor to make a better diagnosis,” says Jeffrey Raval, M.D. Instead, it’s the best tool yet on the market to help show the patient first-hand the condition of their skin. The staff uses the Visia reports to track a patient’s progress during treatment too. Visia is preferred over other systems because it highlights the abnormalities on one’s skin better than other skin scanners he’s seen. The practice regularly offers free Visia scans (valued at $250) when performed with other procedures.